Please join us at the annual Music Fund Fall Classic Golf Tournament, our biggest fundraising event of the year, for a festive day of golf, fun, and music — all for a good cause! All funds from the tournament, now in its 18th year, will be used to assist musicians in a serious financial crisis. Donations and contributions are tax-deductible. 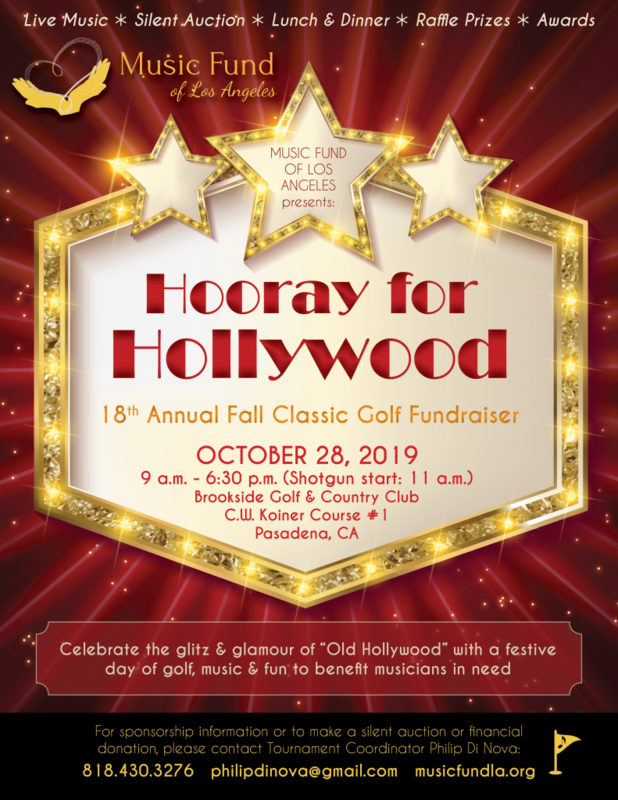 The theme for 2019 is “Hooray for Hollywood,” and the festivities take place on Monday, October 28 at the beautiful Brookside Golf & Country Club, C.W. Koiner Course #1, Pasadena CA. Many thanks to our generous sponsors of 2018.